BOSTON—Michael R. Bloomberg (MBA 1966), Founder of Bloomberg LP and Bloomberg Philanthropies, the UN Secretary-General’s Special Envoy for Climate Action, World Health Organization’s Global Ambassador for Noncommunicable Diseases and 108th Mayor of New York City, will be Harvard Business School’s (HBS) Class Day Speaker on Wednesday, May 29, 2019. The ceremony, which will take place on the Baker Lawn on the School’s campus in Boston, will include a welcome from the co-presidents of the MBA Class of 2019, presentations of the Alumni Achievement Awards and Faculty Teaching Awards, and a student address. Bloomberg was elected mayor just weeks after the attacks of September 11, 2001, and under his leadership, New York City rebounded faster and stronger than expected. His administration raised high school graduation rates by 40 percent, cut crime by a third, reduced the city’s carbon footprint by 14 percent, and increased life expectancy by three years. His economic policies, which supported entrepreneurs, small businesses, and emerging industries such as tech and bioscience, helped to create a record 400,000 new jobs. His administration invested more than $3 billion in the arts and cultural organizations, making New York City the largest funder of the arts in the country. His approach to managing as Mayor of New York is the subject of a HBS case study published in 2008. Bloomberg has been strongly committed to philanthropy throughout his career. 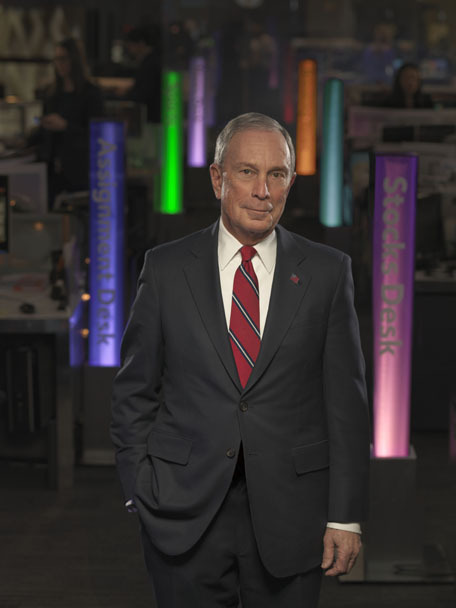 His foundation, Bloomberg Philanthropies, employs a unique data-driven approach to its five main focus areas: public health, education, the environment, the arts, and government innovation. He has given away $8.2 billion, including donations to Harvard University and Harvard Business School. His most recent gift to Harvard in 2016 led to the launch of the Bloomberg Harvard City Leadership Program, an unparalleled collaboration to advance leadership, management and innovation in cities across America and around the world. Bloomberg leads a number of efforts to address urgent national and international issues, including climate change, gun safety, immigration reform, and infrastructure investment. He serves as the UN Secretary-General’s Special Envoy for Climate Action, charged with galvanizing the efforts of governments, businesses, and civil society to fight climate change. He is also the World Health Organization’s Global Ambassador for Noncommunicable Diseases, and his foundation works on life-saving initiatives to improve maternal and reproductive health, increase global road safety, prevent drowning deaths, and many more. His efforts to reduce tobacco use have saved more than 35 million lives since 2007. Bloomberg is co-author, with Carl Pope, of the New York Times bestseller Climate of Hope: How Cities, Businesses, and Citizens Can Save the Planet. Born in Boston and raised in Medford, Massachusetts, he earned a BS in electrical engineering from Johns Hopkins, and went on to earn an MBA from Harvard Business School. Click here for more information on HBS Class Day and Harvard University Commencement.